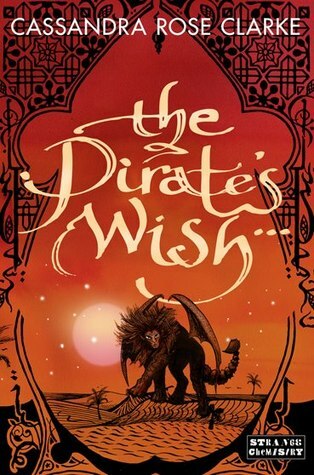 I loved The Pirate's Wish but as the same time I wasn't really a fan of this book. First let's talk about what I liked. The plot is fantastic, a really page turner I must say. It kept me up all night because I just couldn't put it down. The world building is rich. It's like I were there and could feel the wind and the humidity. And do you know what I loved most? It was the manticore =) I found her really cute and her voice is so adorable in some ways that I just couldn't stop giggling. The Pirate's Wish has more romance than the first book. I mean, you can actually feel the tension between Ananna and Naji. It radiated like heat and it was hard to miss it ;) And yes although I liked the feeling of waiting for something to happen between the two of them, Naji sometimes irritated me because he's just so... dense or is it his way of pushing Ananna off 0_o ?!? The first half of the book, his feeling was still a mystery for me. However even I knew what he feels about Ananna later on, I still felt annoyed. I just wanted to yell at him to man up and say whatever he wants to say. About Ananna, ooh I liked her. She does things with a strong passion that I kind of admired. 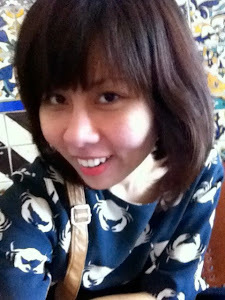 I think she is brave to love someone with all her heart but still doesn't throw away her dream because of love. The whole adventure was excited and I enjoyed every minute of it. However the ending ...just NO NO NO I didn't like it one bit =( Why?!?!? it's not like I asked for a happily ever after (maybe I did) but still that ending, nope, not a fan. Despite the ending and Naji's indecisiveness, this book was a good read. Pirates and magic with a "fun" adventure, well what you will find is an entertaining story that will leave you crave for more!!! I didn't read the review because I just got the first book. I'm starting it tonight! I really liked the first book and can't wait to read the second :) Great review! Thank you and I can't wait to hear what you think about the love interest.